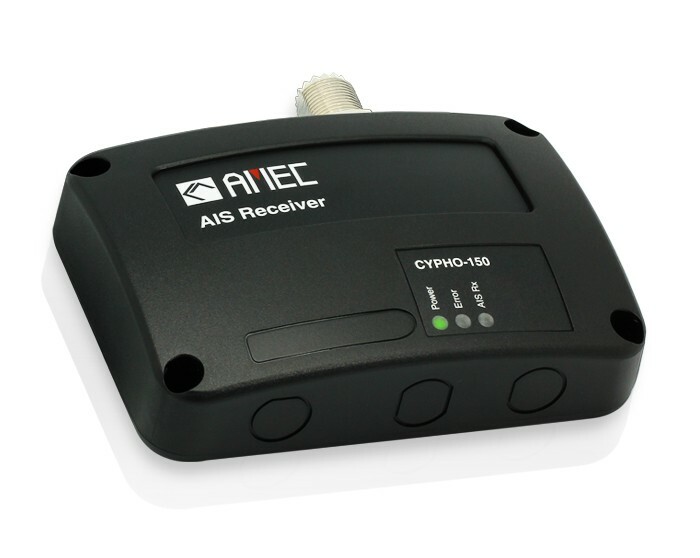 The AMEC CYPHO-150 (any CYPHO-150 model) is an AIS receiver. It receives AIS navigation data from AIS-equipped vessels nearby and the data is utilized to improve navigation safety. CYPHO-150 is designed to inter-operate with AIS Class A or Class B transponders, or any other AIS station operating on the AIS VHF data link. CYPHO-150 is built with two parallel AIS receivers in one box. The default frequencies are standard marine VHF AIS channels, i.e. 161.975 and 162.025 MHz. Having CYPHO-150 AIS receiver on board, not only can you monitor the status of the vessels in the surrounding area, but also receive the dynamic information (position, speed, SOG, etc. ), static information (ship name, MMSI, call sign, etc. ), and voyage related information (cargo type, destination, etc.) from any vessels nearby that are equipped with AIS transponders. 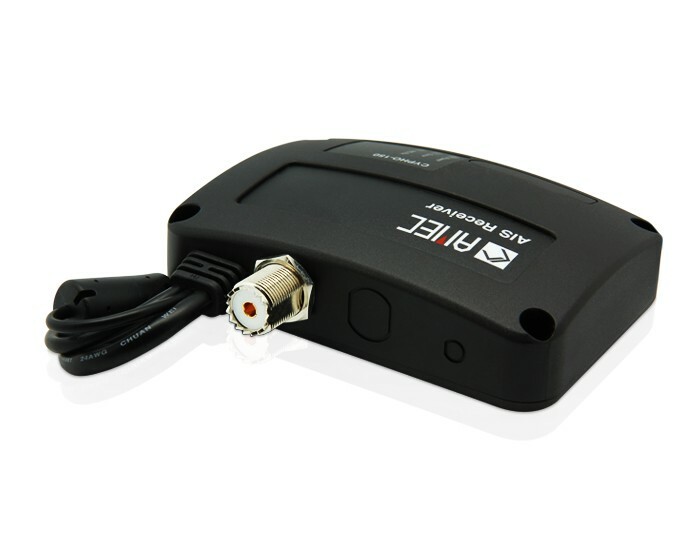 Equipped with standard USB and NMEA0183, CYPHO-150 allows connectivities to most available peripherals in the market. Through USB, users are able to view AIS information on their preferred navigation chart software on their PCs or notebooks. CYPHO-150 is IPX2 water resistant providing acceptable protection against water. It complies with international IEC 60945 standard and has gained CE/FCC conformity. You have made a smart choice to ensure a happy and safety journey.